During the late 1850s, pastoralists in New South Wales were pushing the boundaries of settlement ever northward throughout what would become the new colony of Queensland. As new maps were published over the next two decades gradually the details and features of the colony emerged. 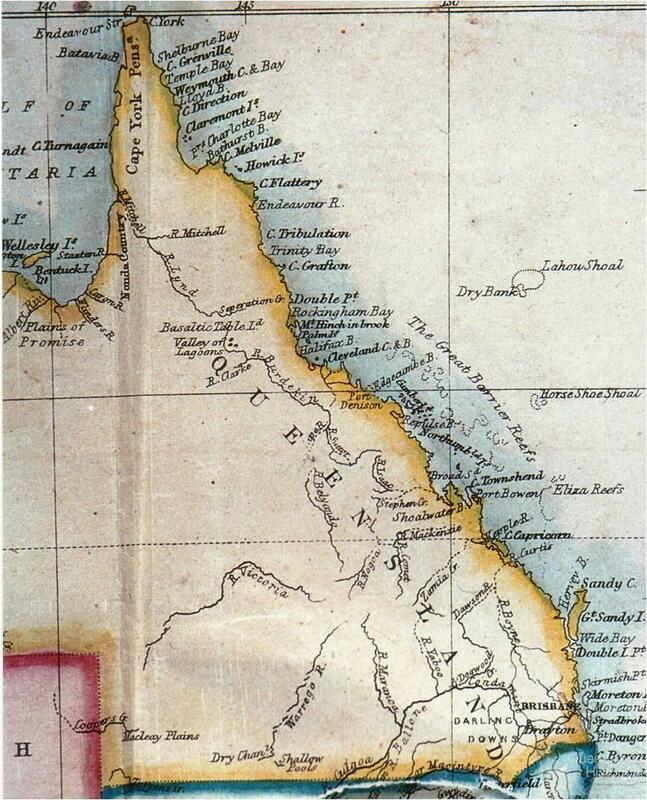 These maps contributed to the geographical construction of Queensland and exerted a defining influence on the changing perceptions of the new colony. 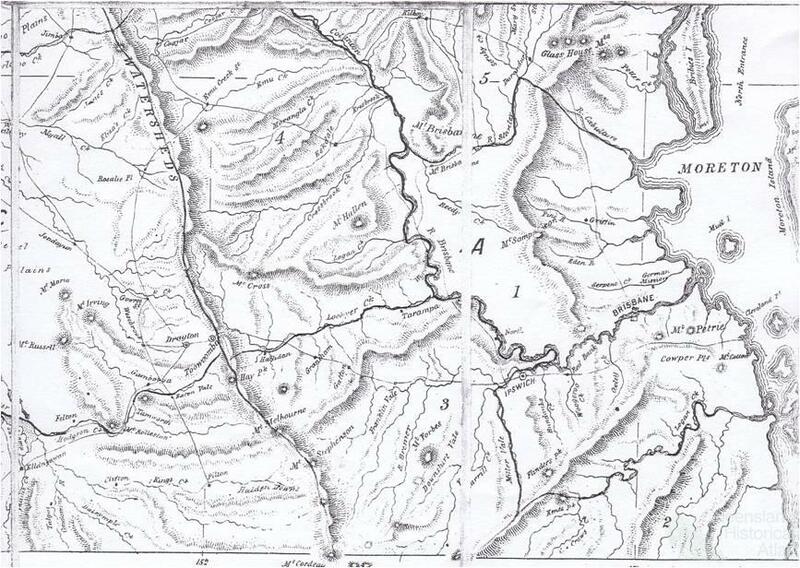 In 1860, the latest discoveries and the spread of pastoral occupation were encapsulated in three maps published by the surveyor Leopold Landsberg. One of these maps covered part of Queensland from its new southern border, northwards to Shoalwater Bay and inland as far as the 148º meridian. This map principally showed relief, drainage, features and some of the main pastoral stations and is extraordinary because of the large amount of hachuring and shading used to depict the terrain found in the known-parts of the new colony. This map was revised and re-issued in July 1860, and covered territory as far northwards as Cape Palmerston (just south of Mackay). The third map covered the new pastoral district of Kennedy and again hachuring was widely used to show relief. During the first decade of Queensland’s existence, several books about the new colony were published and each contained a map. In 1861, the Reverend John Dunmore Lang, for example, published a book extolling the virtues of Queensland as a highly eligible place for emigration. It contained a very incomplete, but colour map of the new colony drawn by Edward Stanford. Other book publishers and specialist atlas and map producers also issued maps of the entire colony of Queensland during the early 1860s. James Wyld, a London-based map and atlas publisher produced a map of Queensland in 1861. Wyld’s map is a pioneer in two features: firstly, it shows the routes of the explorers who had traversed the colony before 1860; and secondly, the boundaries of the counties in southern Queensland are shown using pink and red. Edward Weller, the English lithographer and map producer, issued a map titled the ‘Province of Queensland’, probably in 1862. Weller’s map showed a considerable amount of relief in southern Queensland, suggesting he had access to Landsberg’s maps. Unlike the maps produced by overseas publishers, the locally- produced maps in the early 1860s were more accurate and elaborate. The first to depict the new colony was Theophilus Pugh, the former editor of the Moreton Bay Courier. He commissioned a black and white map showing the extent of settlement in Queensland and it first appeared in the 1862 edition of his annual Pugh’s Almanac. Drawn by the cartographer Thomas Ham, this map is unique, having been the first map in the colony to be engraved, printed and coloured by the process of chromo-lithography. Pugh intended to issue an updated version of this map yearly as part of his almanac, although it was only published for two years (1862-63). Pugh omitted the map in 1864, claiming it was necessary to lessen the bulk of the almanac and that the work had ‘never yet repaid him for the labour and expense bestowed upon it’. 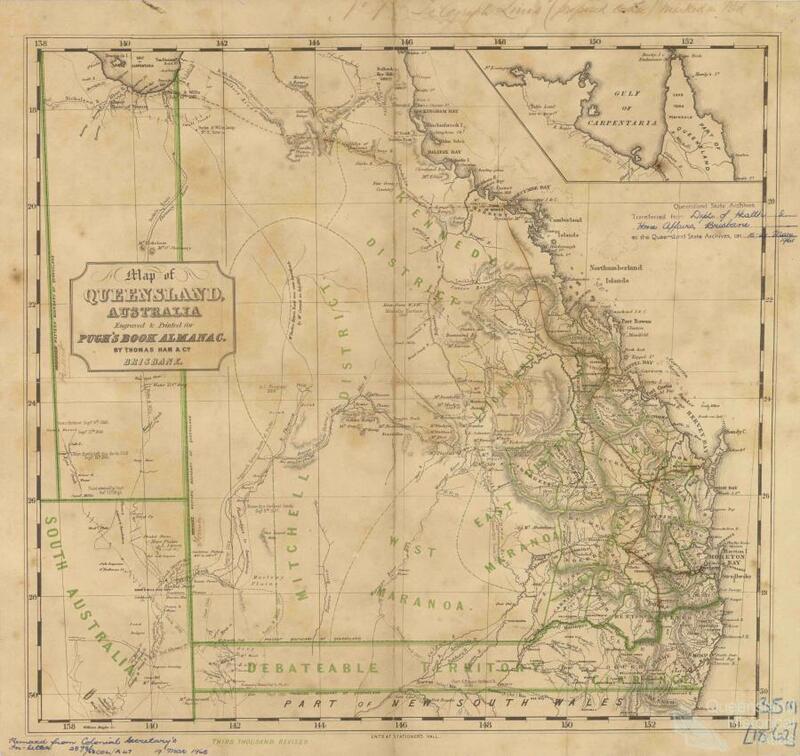 Government mapping during the 1860s and 1870s was undertaken by the Survey Branch of the Queensland Department of Lands, which was pre-occupied initially with producing cadastral maps so that prospective pastoralists and farmers could determine which land was still available for selection. This early administrative mapping culminated with the publication in 1865 of the first Atlas of the Colony of Queensland. The Atlas contained fourteen maps commencing with a general map showing the location of the new colony in relation to the other Australasian colonies, as well as India and China. The second map encompassed the entire colony and the boundaries of its pastoral districts. 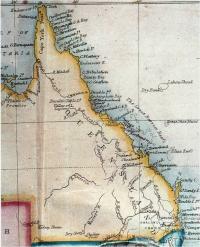 This map is the first full map of Queensland produced by the new colonial government. The remaining maps covered the various electoral districts of Queensland and showed the location of agricultural reserves, towns, roads and some topographic features. Colour was used to highlight features and hachuring employed to represent relief. 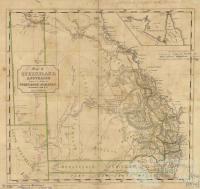 The 1865 Atlas map of the entire colony of Queensland was updated and re-issued by the Survey Branch in 1868 and 1871. During the late 1860s, the Survey Branch commenced producing cadastral maps with the scale of one inch to two miles (1: 126,720). The maps making up this series showed the following features: parish names and boundaries, names of leased pastoral runs, town names, major physical features such as rivers, creeks, swamps and hills, railways and the blocks of land that had been alienated from the Crown. The first one inch to two mile maps were issued in 1868 and covered the Moreton District. By 1880, approximately one quarter of the colony and most of the more closely settled districts, except around Cairns and Cooktown, were covered by this series. Some maps covering the Kennedy, Port Curtis and Burnett Districts had only been issued once by 1880. Others like Sheet 4B of the Moreton District or Sheet 3 of the Darling Downs District had been revised during the early 1870s and re-issued. As the 1870s drew to a close, the colony’s second atlas was published in 1878. F.E. Hiscocks & Co, a Brisbane-based firm, compiled this publication. The atlas maps were based upon the ‘very latest plans in the Lands Department’, and consisted of a map of Brisbane, fourteen pastoral district maps showing major features such as railways, roads, mail routes and main rivers and a full map of Queensland. Mapping of the new colony, except for its topography and environmental conditions, was well under way by 1880.